Shed the light on, who you truly are. The search is on, you urge for more. The destination will always be within you. Shed the light on, no matter who you truly are. DEAN FUJIOKA “Let it snow! 〜Mandarin Ver.〜“ (Official Lyric Video) Directed by BUDDHA.INC [Download & Streaming] DEAN FUJIOKA - ”Let it snow! 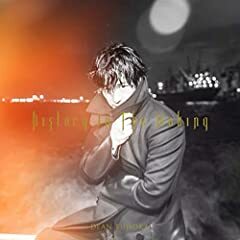 DEAN FUJIOKA New Album “History In The Making” 2019.1.30 Release! [Download & Streaming] DEAN FUJIOKA - ”Let it snow! 〜Mandarin Ver.